JMW: Hello, this is Jean Marie Ward for BuzzyMag.com. With me today at the Baltimore Book Festival is Marissa Meyer, the bestselling author of The Lunar Chronicles. Welcome, Marissa. Cinder which is Cinderella, Scarlett which is Little Red Riding Hood, and now Cress in which you take on Rapunzel. What prompted you to transform the fairy tales of our childhood into dystopian science fiction? Marissa Meyer: Well, I have been a huge fan of fairy tales my entire life, When I was about five years old, I got to go see my first movie in theaters which was Disney’s The Little Mermaid. And I completely fell in love with it and have kinda been interested in fairy tales ever since, not only the Disney movies, but delving into the Grimm classics and the Hans Christian Andersen, etc. And so I always loved retelling. When I was a teenager, I got really into Gail Carson Levine and Shannon Hale and some of these great retellers of these classic stories. But I always kinda had this feeling that I did not want to write a retelling of my own unless I could come up with something that I felt was truly unique. I didn’t want readers to pick it up and think, oh, it’s just another Cinderella story. And so that kinda was with me for many years until one day I entered a writing contest. And the girl who was hosting that contest had made a list of about 10 things. And you had to choose two things from her list and include them in a short story. And the two things that I ended up selecting were to include a fairy tale character and to set my story in the future. And for that contest, I wrote this futuristic retelling of Puss in Boots. And I had so much fun combining this talking cat that was now a talking robotic cat, and a lost princess who was actually from the moon, and space ships, and hover cars, and all these fun things. And I came away from that thinking that this was a great concept. And I couldn’t find that anybody had really done it before. And so with that, I started just to brainstorm what else could I do combining fairy tales and science fiction tropes. And my imagination ran wild from there. JMW: Cool. Did Star Wars play any part in that? Marissa Meyer: Oh, absolutely. Star Wars was one of my childhood loves. Hans Solo was like my first dream boyfriend. And so Star Wars was always a really big influence for me. A lot of my influences on the sci fi side are more of the space operas, Star Wars firefly. There’s this great anime called Cowboy Bebop. They’re very character centric and play around with really fun world building and whatnot. And so that was really the angle that I was coming into sci fi from as opposed to more classic sci fi with all the hard edged technology and whatnot. So I think that that influenced a lot of the world building that I have ended up doing in the series. JMW: Very cool, and a great shout out to Cowboy Bebop because it’s one of my favorite series. Anyway, you set the stories in places like New Beijing. And that means your characters tend to be a lot more diverse and the long suffering good girls and charming princes we remember from the fairy tales of our youth. Why is this important to you? 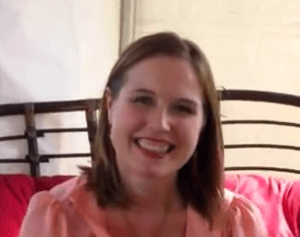 Marissa Meyer: Yeah, diversity right now is such a hot topic in the young adult world. There’s this great movement called We Need Diverse Books that has seen a lot of outreach lately. And then I do think it’s definitely having an impact just if you look at the recent books that have sold and that are coming out in the coming year. You’re seeing a lot more diversity in our literature which is fantastic. For me, when I started writing this series back in 2008, I was not really thinking what big influence could this possibly have on people. I just knew that I wanted to write a futuristic world that felt authentic. And obviously, we’re not all white in the world, and so it would’ve felt very unreal to me to try to write a series of characters that were all white and all like me. And so I wanted it to have a very global feel, and that went along right hand in hand with including a lot of diversity. On top of that, I am a total geek. And one of my really geeky reasons for wanting a large cast of characters with a lot of diversity is that I used to do a lot of cog play. And I remember having friends who were African American and Asian and whatnot, and we would wanna do these group ensembles of our cog play when we went to the anime convention. And it was so frustrating when we wanted to do a beloved show or movie, and my nonwhite friends didn’t have any characters that looked like them. And so coming from that geeky side, I want anyone who loves my books to have someone that they can relate to on that level. JMW: That’s very cool. Also cool is the fact that you’ve gone on record about your love of fanfiction, both as a reader and a writer. What role did fanfiction play in the development of The Lunar Chronicles? Marissa Meyer: Well, I wrote fanfiction for the Japanese anime Sailor Moon, which was kinda how I got started writing seriously when I was 14. And I wrote it for like 10 years, and dozens and dozens of stories in this world and with these characters. And it was hugely influential to me just because, even though I’d grown up wanting to be a writer, fanfiction was the first opportunity that I had to share my writing with the world and start becoming a part of this community, and having feedback, and other strangers in the world reading my work and giving criticism and also encouragement. And that really pushed me a lot in those early years to not only keep writing, but to start seriously considering if this was something that I thought I could make a living out of someday. And I like to think that even if I hadn’t had that community, I probably still would have written. I still would have tried to become a writer. But I think having that backbone and that community encouraging me over the years really influenced me to really go for it. JMW: Very cool. What’s next for your characters and for you? Marissa Meyer: Well, in 2015 I have two books coming out [easyazon_link asin=”1250007208″ locale=”US” new_window=”default” nofollow=”default” tag=”buzmag-20″ add_to_cart=”default” cloaking=”default” localization=”default” popups=”default”]The Lunar Chronicles[/easyazon_link]. In January, the prequel novella called Fairest will be out. It takes place about 20 years prior to Cinder. And it’s focused on evil queen Levana and will uncover some truth about her, what is under the glamour and why she is so fascinated and obsessed with ruling the earth. And then in November of 2015, the epic conclusion of the series Winter will come out. That one is based on Snow White and the Seven Dwarfs and will include all of our major characters as they attempt to take down the evil queen and save the world. JMW: Then after that though, you’ve got another series percolating. Can you tell us anything about that? Marissa Meyer: I do. I have two additional ideas in the works right now. In February of 2016, my first non Lunar Chronicles novel will be out. It is called Heartless. And it’s a young adult fantasy, a prequel to Lewis Carroll’s Alice in Wonderland, all about the infamous Queen of Hearts. So I’m having a lot of fun with that because it’s Wonderland. And I get to bring in all of these beloved characters and have a lot of fun asking myself who were they before Alice showed up. After that, I’m about to embark on a new series. I’m writing a trilogy all about superheroes and super villains and the gray lines in between. JMW: Oh, very cool. Is there anything you’d like to add? Marissa Meyer: No, I don’t think so. I love all my readers, of course. And I just wanna say thanks to everyone who has read the series and been enjoying them and helping to spread the word about them. JMW: Great. Thank you so much, Marissa. And thank you for BuzzyMag.com.